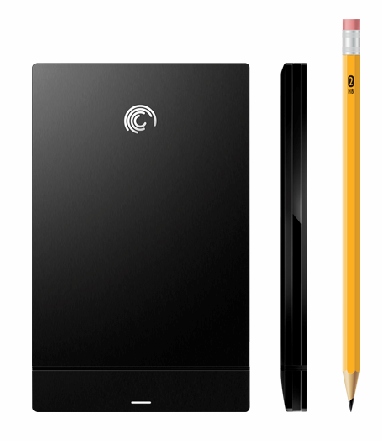 It’s not the least expensive or the highest capacity external hard drive, but it is the slimmest, and it does have good performance on both Mac and Windows computers. You need to reformat GoFlex Slim using an idiosyncratic NTFS method specified by Seagate to achieve optimum Mac/PC compatibility. MyMac recommends you do this immediately after purchase. Once your sleek, tiny, GoFlex Slim drive is ready for action, its ultra-quiet 7200 rpm drive copies and transfers data briskly to and from any computer. The port interface and technology are USB 3.0, which runs natively on the latest PCs but not on any Apple product. USB 3.0 plugs fit into Mac USB 2.0 ports, and perform identically to USB 2.0. When compared to FireWire 800 drives from Seagate, GoFlex Slim’s 7200 rpm speed is roughly one-third slower, which is zippy for a USB drive. An 18-inch bus-powered cable is included, which may be a little too short for some users but will be fine for most people. A printed QuickStart guide is not especially helpful, but it points to where on the Internet you can learn how to reformat for cross-platform usage. MyMac applauds Seagate’s 3-year warranty. Mac OS 10.5.8 or later is required. The NTFS reformatting workflow is slightly different in 10.5 than it is in 10.6. Ask for help from Seagate if you are confused. In my evaluation usage tests, GoFlex Slim mounted quickly on Mac and Windows computers, and copied data efficiently. Many people use both operating systems, and will find GoFlex Slim’s 320GB capacity to be much more practical than a pocketful of USB flash drives. Until solid state external drives are less expensive than conventional platter drives, $100 for this product is good value. On the day I wrote this review, Fry’s Electronics had GoFlex Slim available for only $80, so shop for discount prices. Would I buy a GoFlex Slim? Yes, I did, for a client who used it to migrate her precious, ancient, Windows Photoshop Elements 5 custom albums over to her new iMac’s iPhoto Library. The process was speedy and effortless, using basic folder and file management methods. Do I have any suggestions or complaints? Yes, — three. The white connectivity LED is almost imperceptibly tiny, with a steady illumination that does not indicate any drive activity. The port connector component is separate from the hard drive component, and I don’t know how well these segments are affixed for long-term serious usage and transportation. There is no storage or carrying case. MyMac recommends GoFlex Slim for cross-platform users and switchers.